Android 6.0.1 official firmware for Xperia XA Ultra has been provided. OTA update is available. You can also manually Update Xperia XA Ultra to Android 6.0.1 Marshmallow. The official Marshmallow firmware has started rolling out recently. And the users of Xperia XA Ultra are getting OTA notifications in several regions. A number of the users have already updated their devices. Also, you can manually download and update the device. I am here to share with you, a simple and step by step tutorial for manual update method. The FTF file for both the Xperia XA Ultra has been provided. Xperia XA Ultra has the build number 34.2.A.0.266 and you can download it from the link below. Also, follow the installation steps to Update Xperia XA Ultra to Android 6.0.1 Marshmallow. Android Marshmallow has already been provided for almost all Xperia devices. And now the Xperia XA Ultra is also getting Marshmallow official build. This firmware for Xperia XA Ultra has all the improvements and features of Android 6.0.1 Marshmallow. If you are interested and are ready, then here everything. 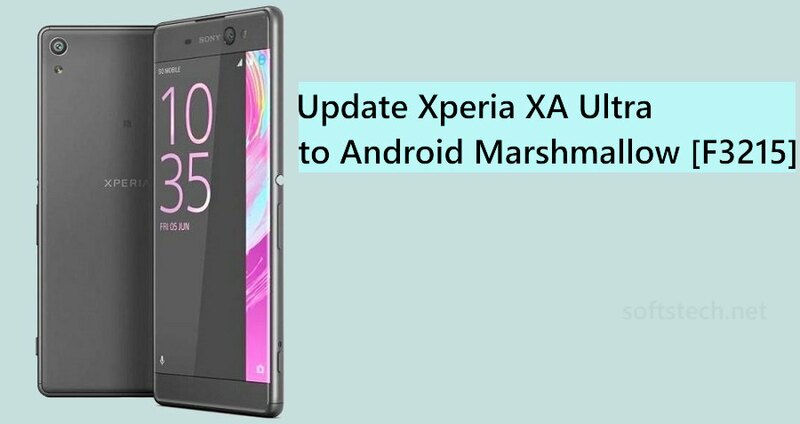 Download FTF file and Sony flash tool, then follow the entire steps accordingly to Update Xperia XA Ultra to Android 6.0.1 Marshmallow Manually. Don’t skip any step. Note: The under mentioned tutorial is specifically intended to Manually Update Xperia XA Ultra to Android 6.0.1 Marshmallow [F3215]. So, don’t try for any other purpose or any other device. Also, flashing firmware involves risks. We guidebeats.com strive to provide you highly accurate method but don’t claim to be free from any error. So, entirely flash and proceed at your own risk. Manually Update Xperia XA Ultra to Android 6.0.1 Marshmallow. Perform a full backup of the existing data on Xperia XA Ultra. Like contact, gallery items, text messages and app data etc. Also, make sure that the battery of Xperia XA Ultra has at least 70% charging level. Enable USB Debugging Mode on Xperia, go to Settings → Developer options. Download flashtool from the link above and then install on the PC. Then select Flashtool + Fastboot+ Xperia drivers and click install. Now download Marshmallow firmware for your device model from the link and move to C:\ Program files\ Flashtool folder \ Firmware folder. Now double click “Flashtool.exe” file, to run Flashing tool. Then select Flash device->Flashmode and Select the firmware FTF file that you moved in the Firmware folder. Check Wipe cache, data, APPS_LOG and USERDATA if you want to perform a clean install, or leave if you want only upgrade. Then click “OK”, to start flashing and then wait for preparing the firmware file. Once the firmware file is loaded, turn off and connect the device to PC while pressing Volume Down key repeatedly. So that’s how to manually Update Xperia XA Ultra to Android 6.0.1 Marshmallow [F3215]. If there is any issue, don’t hesitate to contact us via the discussion section below.